Printed on heavy weight stock, suitable for framing. 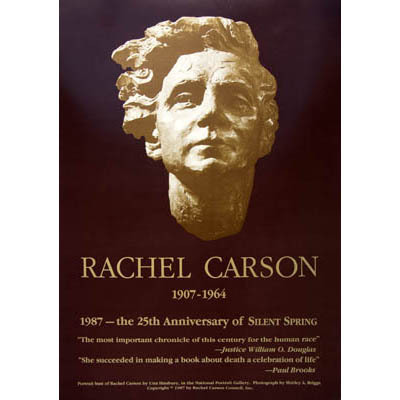 This 15×21″ poster features Rachel Carson’s portrait bust by Una Hanbury from the National Portrait Gallery. Includes shipping. ©Copyright 1987.